Install a camera to check local weather and roof conditions. 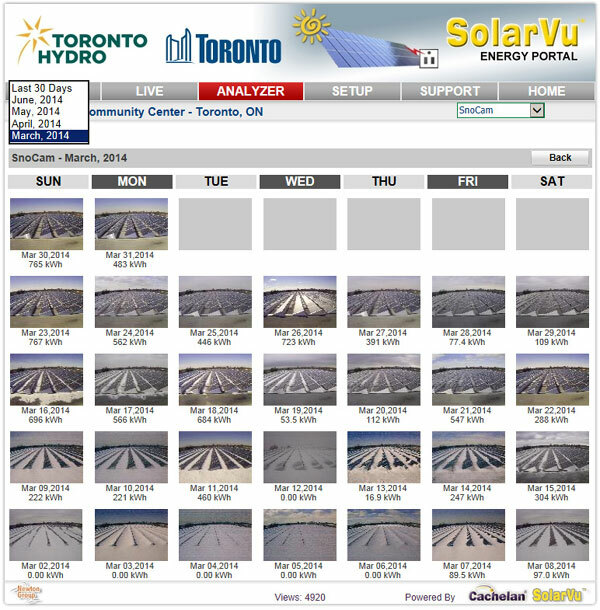 Get a live image each time you visit your SolarVu® portal. 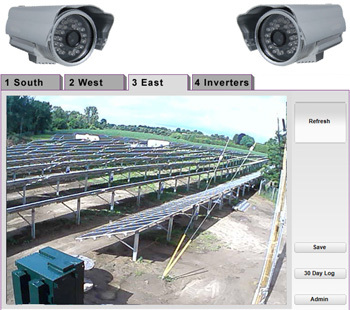 Every day at noon, SolarVu® records a snapshot so you can check changing conditions for the entire month. Still image capture minimizes data transfer on 3G cellular internet connections. If power output seems low, verify whether snow coverage or clouds are the cause before dispatching an expensive truck roll. IP settings are pre-configured to eliminate complex setup. Installation only requires a single cat5e cable for signal and power from the SolarVu® enclosure to the included weatherproof SnoCam™ enclosure on the roof. Download images for performance reports and insurance claims.